My daughter has been taking guitar lessons for the past two weeks now. She had seen Taylor Swift playing guitar and thought it sounded like a fun thing to do. 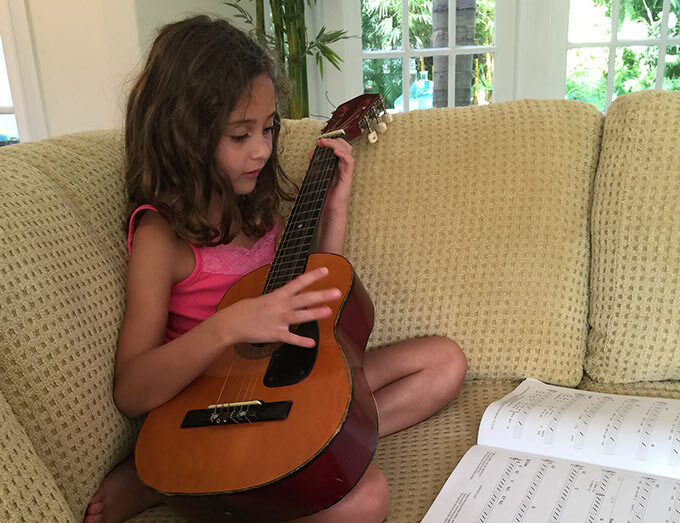 She wanted her own guitar and lessons to boot. Knowing how flaky I was as a child, we decided against buying a guitar up front. We asked around and got referred to a guitar teacher from a friend. My wife called him and turns out he had kids guitar that he could bring with him to the lessons. When he arrived at our house he craftily talked my wife into paying for four lessons up front. Clearly this wasn’t his first rodeo either. Long story short, we are two weeks in and my daughter is bored already. Her boredom is partly because of childrens expectations of instant gratification and partly because she is 7 years old. Part of growing up is finding out what you like and dislike. You start things and quit things. We all quit things that we aren’t into like dieting or working out or playing guitar. I played just about every sport growing up. What I’m saying is that it takes some initial commitment when you start something new. You have to decide that you really want to do it. Bobbies wife clearly wanted to start her online store badly enough. But not everyone is so sure. The good news is that nowadays starting an ecommerce business isn’t as tough as it used to be. It’s still a lot of work. You have to make time for your online store. But, with limited resources and a will, you can do it. 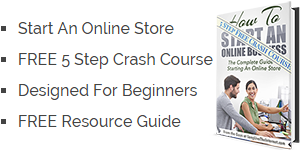 It’s going to take a month or two to really get started and launch your store. After that, it’s going to take real commitment to build your business. But how can you test your passion without paying for all the lessons up front? A lot of people aren’t aware, you can actually start selling your items on Amazon. You probably have purchased from someone on Amazon already without even knowing it. 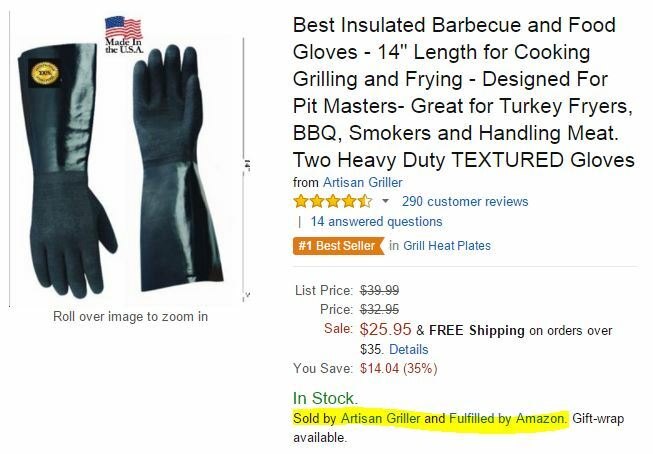 You see the tiny line that says Sold by Artisan Griller and Fulfilled by Amazon. This means that someone like you is actually selling their items through Amazon. Like eBay, Amazon actually sells third party products on their site. Many of you have listed things on eBay before. Whether you have or haven’t, it’s a little bit like a garage sale through the mail. You are buying or selling things that are potentially used or broken and often come packed in an old shoe box. The experience leaves something to be desired to say the least. Amazon only lets you sell new products and best of all they offer a service called FBA. FBA is short for fulfilled by Amazon and let me try and break it down as simply as possible. 1. You create listings for your product on Amazon. 2. You register the products and tell them you are going to send the products to them. 3. They give you labels and tell you to label your products and send them to one or more of their warehouses. 4. You send them to Amazon warehouses throughout the country. 5. They receive the items and store them for you until they sell. Storage costs are pennies a day. 6. Once an item sells, they pick and ship the product directly to the purchaser. And that’s it. It’s that simple. Amazon will list, pick, pack, and ship your products once they sell. They don’t offer this service out of the kindness of the hearts. 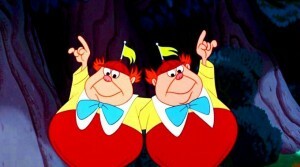 They make a fee. Most item fees are between 15% and 20% of the sales price. There are a couple of huge benefits to this method of testing your interest in Ecommerce. 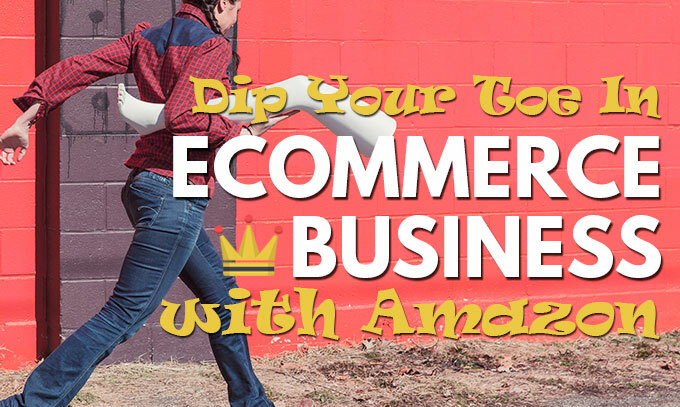 – You get immediate access to the bizillions of Amazon shoppers that are on their site. Your products are exposed to so many shoppers that it’s staggering. 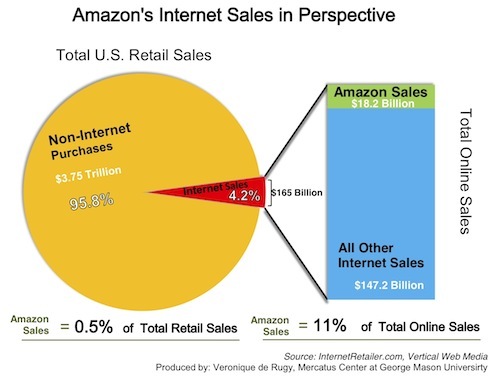 This is old from Internet Retailer in 2011 but it still gets the point across. – You don’t have to fulfill the item or handle the packing and shipping of individual orders when they sell. – You can test products or industries to see what you like and what’s going to sell before you hitch your wagon to a specific horse. – You can quit your guitar lessons at any time and you haven’t invested in a fancy guitar or taken months of lessons. Well you are going to have to stay tuned for my next post to learn more about that. I have a simple technique that you can start doing tomorrow to find products to sell on Amazon. Make sure to join our email list so you don’t miss it.